What Are Pagani And Koenigsegg Planning For 2015? Both are keeping dead quiet, but we've got a few clues. We know, more or less, what Ferrari and Lamborghini have planned for 2015. At Geneva in March we’ll hopefully see the Ferrari 458 Italia's replacement, and Lamborghini will probably show off another wild concept. Perhaps also the Huracan Spyder? An updated Aventador? Totally possible. But what about boutique hypercar brands Pagani and Koenigsegg? What do they have in store for this fine New Year? To be perfectly honest, no one really knows for sure. Because they’re both small companies, it’s easier to keep things quiet. However, we do have a few ideas based on previous conversations with Christian von Koenigsegg and Pagani's top PR man. 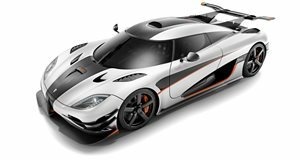 Starting with Koenigsegg, though it’ll be tough to follow up last year’s One:1 mega car, the Swedish brand always takes full advantage of Geneva to launch something new. A good guess would be a perfected One:1 that’s capable of destroying the Nurburgring lap record. Later this year, likely at New York, we’ll also see the US-spec and fully street legal Agera R. As for Pagani, a roadster version of the Huayra could arrive. 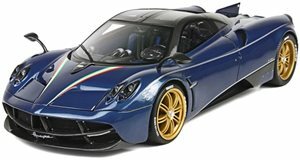 When asked about this last March, our Pagani source neither confirmed nor denied its planned existence. Believe it or not though, the Huayra debuted in 2011 making it four years old already. By this point in the Zonda’s life a roadster version premiered. Obviously this is all speculative, but they’re educated guesses based on what information is available, which isn’t much. We'll just have to sit back and be patient, but the answers will come soon enough.